1 What is Hair Transplantation? Hair transplantation is the operation wherein healthy hair extracted from the zone considered as donor area is transferred to hairless area via a technique called FUE. 2 Where is the donor area for hair transplantation? Follicular units are extracted from the area between two ears and back of the head which are especially dense and resistant to shedding. 3 What is the meaning of numbers given for hair transplantation? Transplantation amount refers to hair follicle count in hair transplantation. As concerns to hair strands, hair strand count may be more than twice of hair follicle amount. In this sense, talking the recommended numbers on hair strand amount before hair transplantation, may be confusing. When it is thought that each follicular unit contains more than one hair strand, it means when we transplanted 3000 grafts, we actually transplant 6000-7000 hair strands. 4 Will I have pain during the hair transplantation? The most important subject for the patients who undergo FUE hair transplantation, is the answer to "Will I feel pain during hair transplantation?" question. 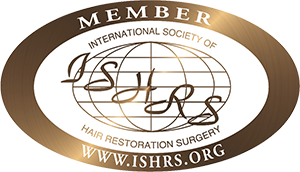 Hair transplantation operations are high-patient-comfort interventions. Pain is only slightly felt during the local anesthesia injection performed in the beginning, after this step hair transplantation operation is performed completely free of pain. 5 Will I have pain after the hair transplantation? Usually no pain is felt after the hair transplantation. Though in the first night there may be a slight pain, and can easily be managed with pain killer. 6 Who can have hair transplantation? Everyone who is healthy and with appropriate expectations, and has follicles in sufficient amount and quality on the back side of the head called donor area. 7 To whom hair transplantation must not be performed? People who do not have sufficient amount and quality of hair follicles on the donor area, cannot undergo hair transplantation. People who are in the first phases of hair loss, and do not have completely distinguishable hair thinning, should not especially undergo hair transplantation. In this case, the first line treatment must be medical. 8 How should the hair density that will satisfy me after the hair transplantation be? In the presence of a suitable donor area density and hair strand thickness, 70-100 hair density per cm2 is able to cover the scalp. The amount of hair follicle to achieve this density varies by person. If the hair transplantation is performed with follicles mostly consisting of triple, quadruple follicles, 20-30 hair follicles per cm2 is enough, while if it is performed in a person who has mostly single and double follicles, this density may increase up to 30-40 hair follicles per cm2. 9 Do I have to have my hair cut if FUE technique was used? Yes. In order to extract the fair follicles one by one and without any problem, they should be visible, right on the surface of the skin. Thus, haircut is a necessity. 10 What is the most favorable season for hair transplantation? There is not any favorable season for hair transplantation. It can be performed successfully in every season. 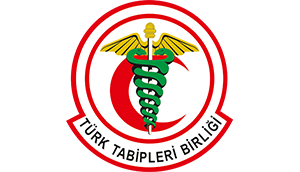 However there is a 14-day sea, sun, pool restriction after the operation. This situation may make difficult to plan the operation in summer in social aspects. 11 Is there a possibility of damaging deeper tissues (bone, intracranial structures) during hair transplantation? Extraction procedure is completely performed by using microsurgery technique and under magnifier. It is performed within scalp and extraction is performed at follicle level. Since it is performed within scalp, damaging deeper tissues is out of question. 12 When can I travel after hair transplantation? First day after the hair transplantation, the hair is washed and a gentle washing style is taught to the patient and the necessary information is given. This procedure is usually performed on the next day and approximately takes 1 hour. You can travel immediately after that. 13 When can I go back to my normal life after FUE hair transplantation? Small rednesses and thin cicatrizations are formed on hair root in transplantation areas. This appearance will be visible for 7-10 days. After this period, redness slowly disappears. If you do not wish to keep the hair transplantation procedure to yourself, it is possible to go back to normal life on the next day after the operation. 14 Will my hair transplantation be as successful as my friend's? This question may also be asked like this: "We both had same amount of follicle transplantation, why is his/her result is denser?" The first things to consider head shape, hair loss type and the hair loss degree. However, many factors including hair strand thickness, hair strand amount in each hair follicle, hair being straight, wavy or curly, hair color, and contrast between hair color and scalp have effects on the achieved results. Just transplanting same amount of hair follicle, will not guarantee for achieving same results for everyone. If two people undergo same amount of hair transplantation to the area with same width, a denser and more satisfactory result will be achieved with follicles which have more hair strand thickness and contain more hair strands in a follicle. 4000 thick hair follicles containing mostly triple strands mean 10000 thick hair strands in average, while 4000 thin hair follicles containing mostly single strands mean 4000 hair strands in total. Moreover with curly hair strands more camouflage effect can be achieved. Less contrast with the skin means fuller appearance. 15 Will I have sufficient amount of density after the hair transplantation? There are some criteria for being successful in hair transplantation in person who has hair loss. These include health of hair cells, hair density in donor area, the ability to nourish of transplantation area these cells, surface area of the area requiring transplantation, experience of the team performing your operation. Proper patient expectation is also important. The things that we can provide to the patient as doctors, and the dream in the person's head, must met in the middle in a sensible way. 16 What are the criteria that determine the success of hair transplantation operation? The most important criterion for a successful hair transplantation is the preference of an experienced and competent doctor on this subject. Since hair follicle count in donor area is limited, it is important for them not to be damaged during extraction. Hair follicles are not damaged if they are extracted under microscope with care and caution. Extraction of hair follicles without damaging them is not solely enough for success. Keeping the extracted follicles in a suitable environment, planning the transplantation type of the follicles individually, adjusting closeness and direction of the canals, placing the hair follicles without damage are necessary for a successful, natural looking hair transplantation. Furthermore, health of the person's hair cells, and the ability of the tissues in the transplantation area to nourish the follicles also affect hair transplantation performance.